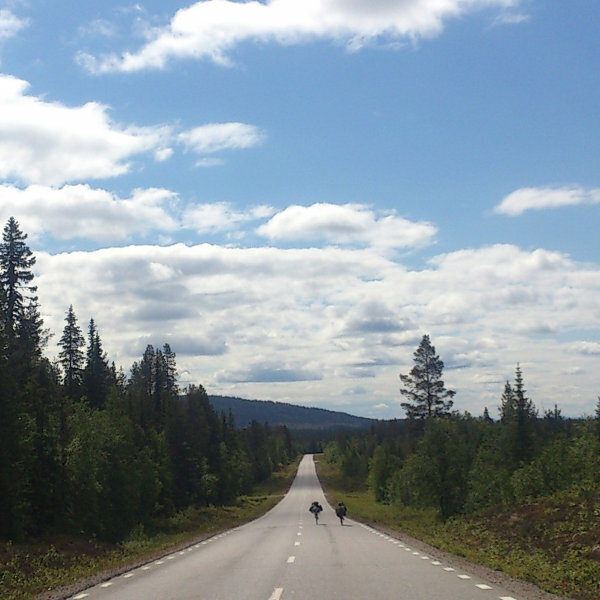 Join a cycling adventure through the Nordic summer. 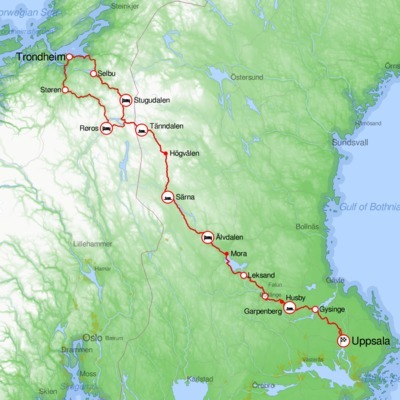 Uppsala – Trondheim – Uppsala takes you along the classic pilgrim route from Uppsala to the Nidaros cathedral in Trondheim. The 1500 km ride is a brevet sanctioned by Randonneurs Mondiaux, and can be used for early registration for Paris-Brest-Paris. Riders are provided with hostel or classroom accommodations, drop bag transport and online tracking. UTU 2018 is finished. All finishers have reached Uppsala, and the controls are closed. Thanks everyone riding, and everyone helping making UTU possible! See you in 2022! Better schedule for picking up dropbag. If you can't fit your luggage into dropbags please contact us. Registration with hotel lodging is closed. Some starts are available with air mattress lodging. We have also increased the number of drop bags allowed. Qualification can be done until july 20. More information on travelling to Uppsala. Registration, qualification, rules and how to get to the start. We ride through Dalarna, the wilderness north of Älvdalen, Högvålen – the highest village in Sweden, the Scandinavian mountains and UNESCO listed Røros in Norway. UTU would not be possible without volunteers. Would you like to help out? We provide food, accommodation, travel expenses and a guaranteed entrance the next time the event is held. Uppsala-Trondheim is organized by Randonneur Stockholm, the randonneur club serving the capital area.